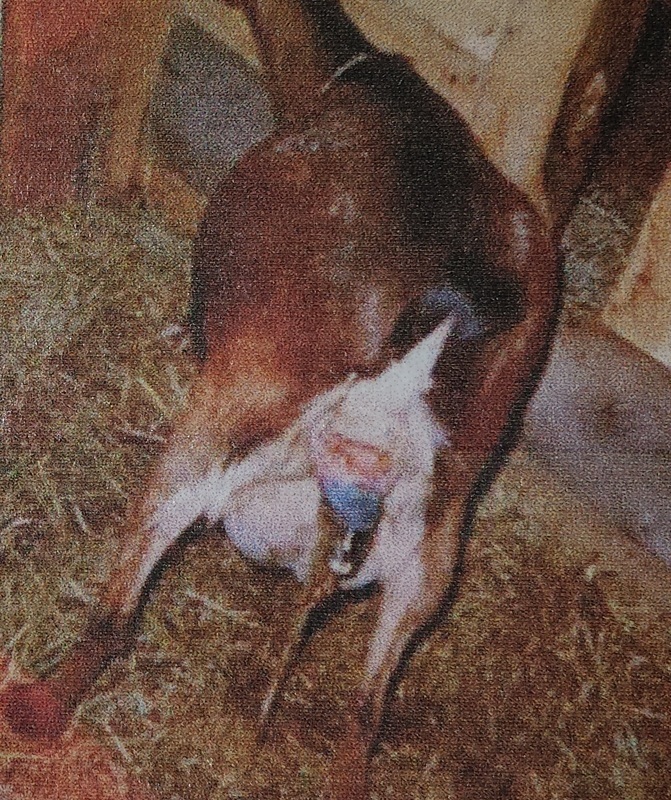 As the kid starts to appear during the birth process, notice the hooves presented properly beneath the nose. As the doe begins the delivery of the second kid, she will continue to care for the first born, but can be assisted at this time. Birth of both kids is now complete. 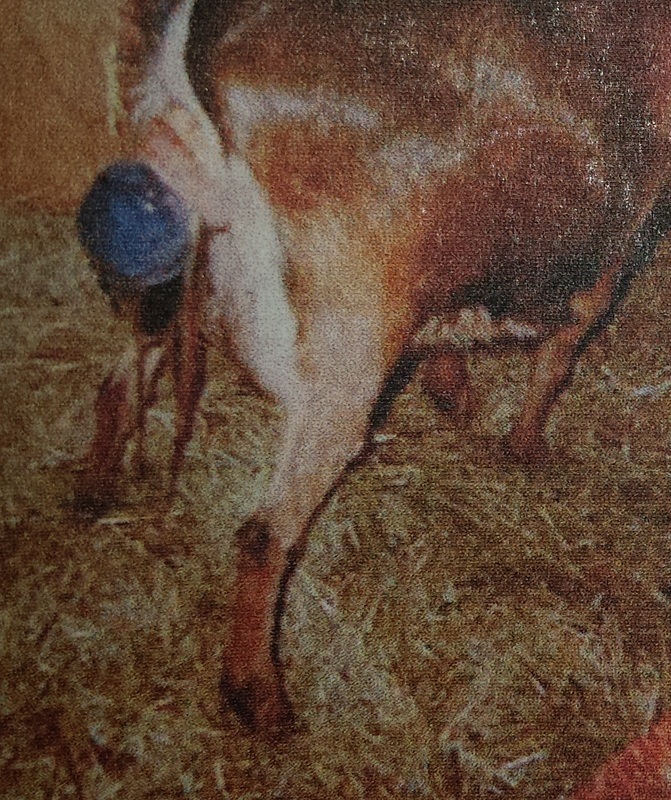 The sack, still unbroken, the head emerges above the front hooves. Helping to dry the kid first and removing it from the immediate vicinity will prevent injury. Both kids are dried, on their feet and encouraged to nurse within minutes of birth. The doe is cleaning the kid's head and stimulating circulation, in this case while still giving birth. 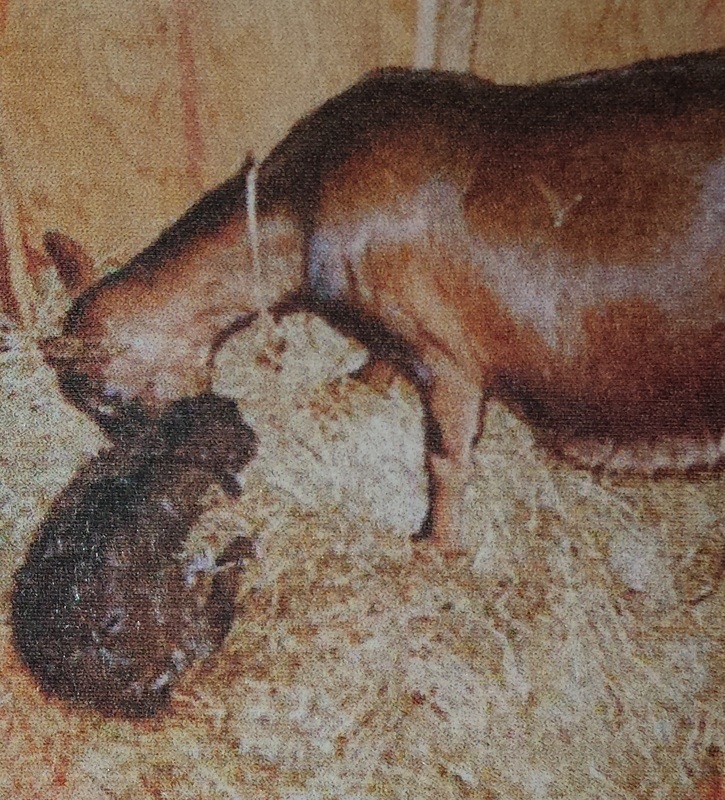 As the second kid begins to be born, the head and forefeet are again presenting properly. In this case the sack around the head has broken. Both kids moving well on their own, fed and happy. The doe would greatly appreciate a pail of warm water at this time. The birth of the first kid completed. The doe licks and cleans the kid to dry it and get the circulation going. As some does will kid while standing, giving some support to the kid as it drops will be helpful. The pictures, and information given, were taken in the early 80's, before I knew much about CAE prevention. With what I know know, I would take the kids away from the doe before she had a chance to lick the kids.I would take care of cleaning and drying the kids myself and dip the umbilical cord in 7% iodine. I then would bottle feed the kids heat-treated colostrum for a few feedings, and then continue feeding pasteurized goat milk.